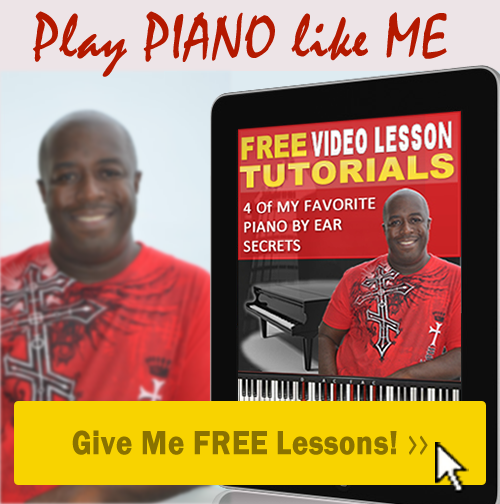 I searched online for help to learn to play gospel piano by ear. I found your site and your online videos, along with a few others. In one evening, I learned to play “I Love You Lord Today” and that sparked a smoldering passion I had for playing piano. I finally decided to purchase products for help. I wanted to purchase ALL that you had to offer so badly. Especially the Worship DVD. I ended up purchasing products from another site because I had limited funds available and it seemed to be more of a “from the beginning” theory package. Although I learned much from the other products. I still continue to reap almost immediate benefits from what you have sent to me via email!!! What you send or show online is enough to encourage me to practice that week and play it on Sunday at the church I attend. Because of your site and complete online video lessons from a few years ago: I Love You Lord Today and Give Him Glory, I have been stirred to learn to play by ear. It’s so much easier for me! I finally got the $$ and purchased your Worship DVD last month and its great! I am saving now to get your Contemporary Chord Finder system -hopefully by next month. My question: How do I condition my brain to listen to/hear the instruments and progressions and not the vocals? I enjoyed reading your story, it’s quite delightful. You’re fortunate to be able to hear the soprano, alto, and tenor parts from a CD. Many musicians can’t, therefore they struggle with teaching parts. 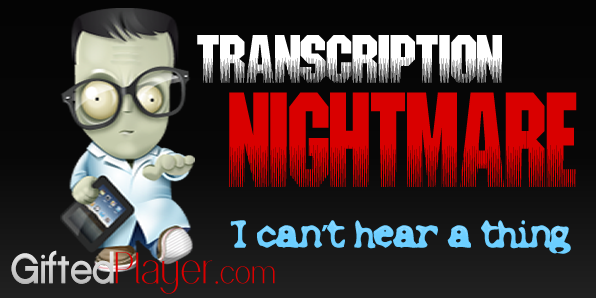 In many of my blog post I emphasize listening to the bass line of the song when transcribing songs from a CD. Over time you have concentrated on hearing the voice parts and obviously mastered this technique. In some traditional gospel songs you can combine the voice parts in the right hand and play them on the piano; add a generic bass line and play a recognizable version of the song. Contemporary modern gospel has a totally different set of rules. Today’s musicians are playing a lot more than just the voice parts. Instead of playing voice parts, seasoned musicians are playing a rhythmic keyboard accompaniment consisting of many different chord progressions. In order to “condition your brain to listen to/hear the instruments and progressions and not the vocals” you need to study chord progressions and understand how they are used to create songs. You mentioned that you will be ordering the Contemporary Chord Finder learning system. This product will give you a thorough understanding of the most popular chords and progressions in all 12 keys. You are definitely on the right path.